Many men and women have dental crowns. In fact, according to the American Academy of Implant Dentistry, 15 million people in the United States have crowns to replace missing teeth. 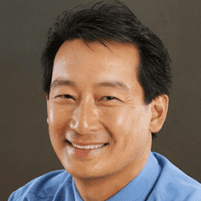 John H Ko DDS is a highly trained professional that can explain your crown options. Call or make an appointment online if you suspect you may need a new crown or crown repair. John H Ko DDS is conveniently located near you in Pleasanton, California. A crown is a tooth-shaped "cap" that's used to cover a damaged or weak tooth. It is sculpted to the shape of the original tooth and can strengthen the tooth and restore its appearance. The crown goes over the original tooth and is cemented and bonded into place, so the tooth is completely covered, from the gum line up. There are a variety of reasons why Dr. Ko might suggest a crown. A crown can cover a dental implant or a discolored or oddly-shaped tooth. The material used depends on a range of factors. For instance, stainless steel is often used to make temporary crowns. Prefabricated stainless steel crowns are a frequent choice for children who have decayed baby teeth and need crowns. Gold crowns are durable and able to endure the force of biting and chewing. The strength of the material also means that you don’t have to remove as much healthy tooth in order to fit them on, and they seal well. Due to their color, however, they’re usually reserved for use in the back of the mouth. Porcelain fused to metal crowns are closer in appearance to natural teeth than stainless steel crowns; however, the metal portion of the crown might sometimes be visible as a dark line close to the gums. Ceramic, or all-porcelain crowns, look the most natural, and are the best choice for men and women with metal allergies, but they tend to be less strong and more vulnerable to large amounts of pressure, such as that from teeth grinding. With both porcelain types of crowns, the opposing teeth might endure more wear than with other types of crowns. Zirconium crowns are relatively new, and they combine the physical strength of a metal crown with the natural appearance of a porcelain crown. They’re slightly more opaque than a porcelain crown, though, so they’re typically reserved for the back of the mouth. E-Max, or lithium disilicate ceramic, is the newest technology in crown material. It has all of the advantages of zirconium, but is even stronger and more durable, making it less susceptible to chipping. The only downside of E-Max crowns is the cost, as they’re typically the most expensive option. A dental crown procedure generally requires at least two visits to the dentist. The first visit will include X-rays so that Dr. Ko can assess the health of the tooth that requires the crown. Next, Dr. Ko will administer anesthesia, then file down or build up the tooth so that the crown can be attached properly. After the tooth is prepared, he will make an impression of your teeth, which will be sent to the dental lab and used to construct a custom crown. Dr. Ko will create a temporary crown to protect your tooth until the permanent crown can be placed. To learn more about dental crowns, call John H Ko DDS or make an appointment online.